Competition submission for the Lancaster Royal Grammar School House site redevelopment. 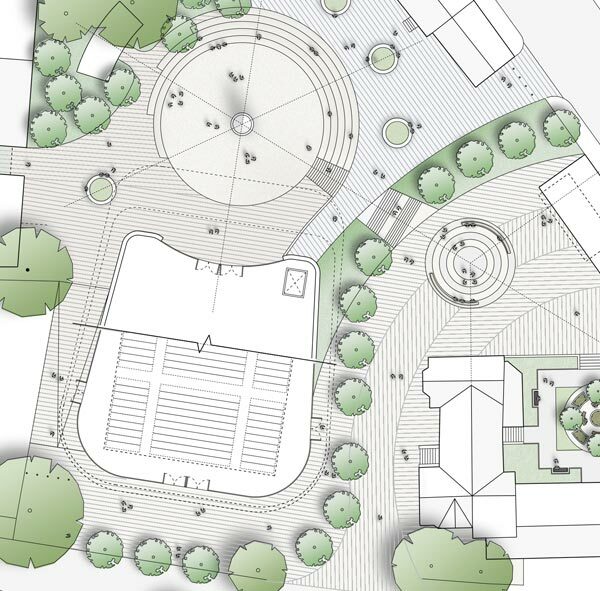 The masterplan includes the formation of a strong axis from the Williamson Memorial to the corner of School House, terminating in a piece of architecture or sculpture which creates a signpost for the school. A series of terraces are created which cascade through the site, celebrating the natural topography. On each terrace different character spaces are created and key views framed. A new amphitheatre forms a focal space at the heart of the site, functioning as a space for play, external teaching and school events. The Auditorium is designed to open out onto the amphitheatre so that major events can spill out and fill the external space. Carolyn Willitts was project landscape architect on this project and created the landscape graphics. 3d visualisations created by Andy Gough.